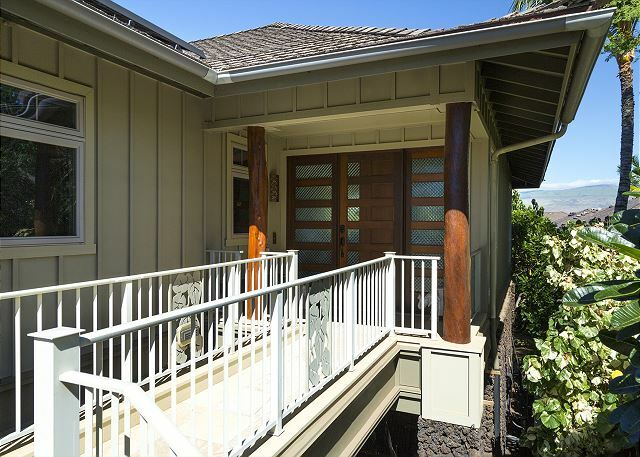 Front of house. 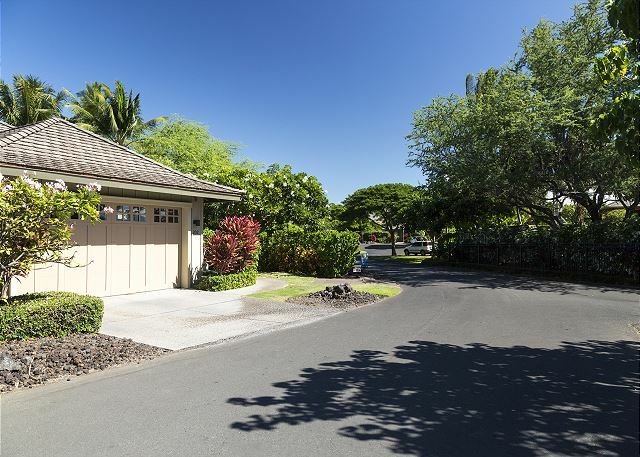 2 car parking in driveway. 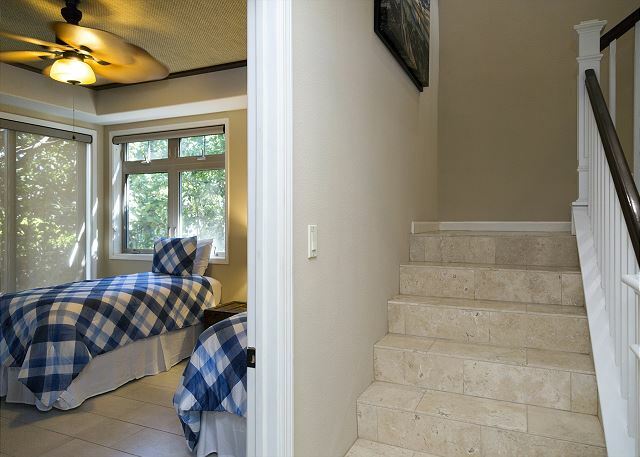 This beautiful home has it all - 2500 square feet of indoor living including a fully equipped gourmet kitchen with granite counter tops, stainless steel appliances, and tile flooring. 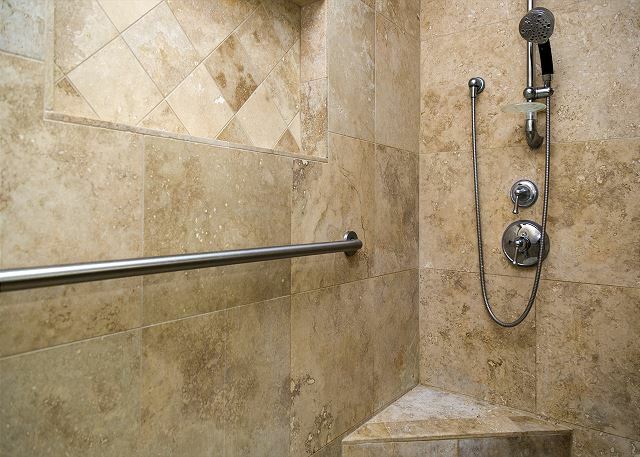 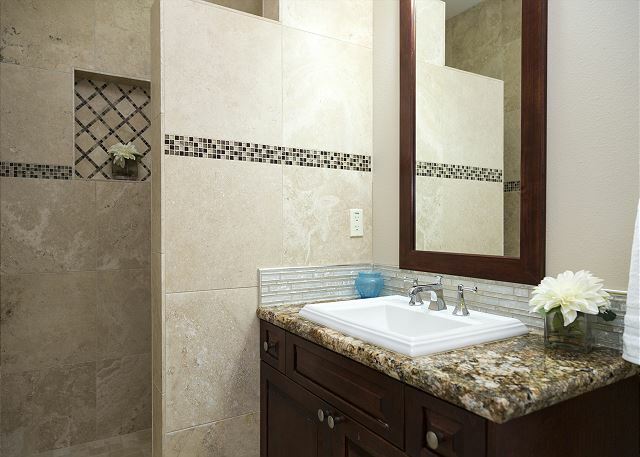 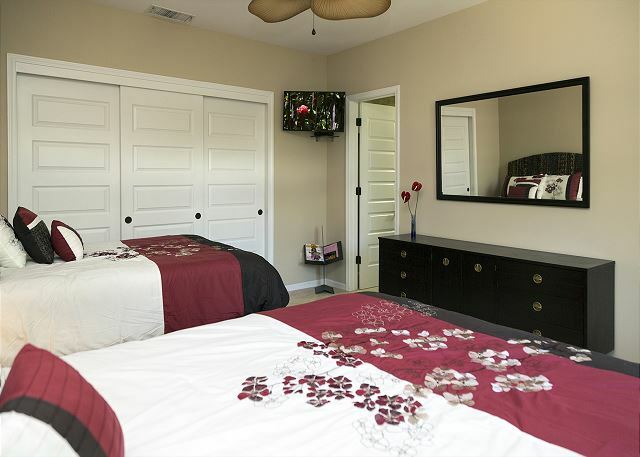 • The Upstairs Bedroom has an en-suite bathroom with shower with 2 Queen Beds. 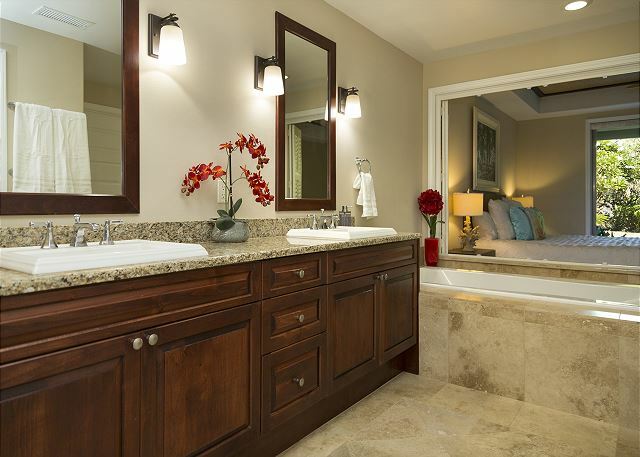 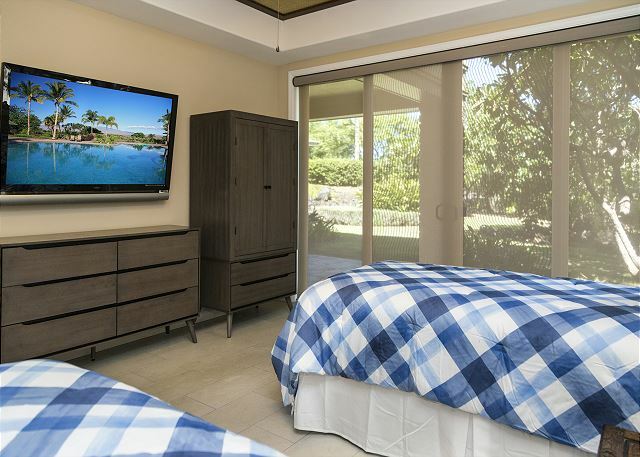 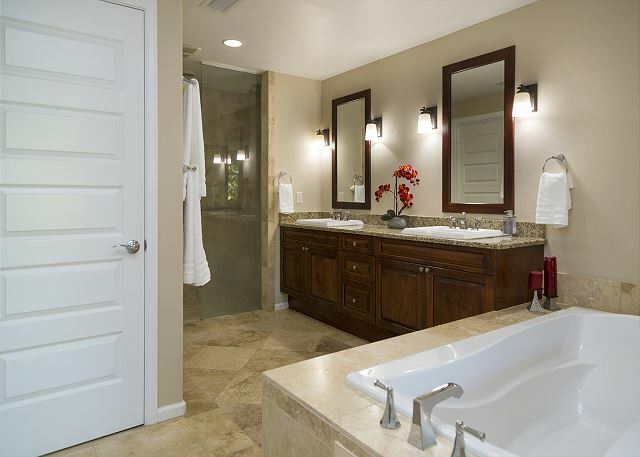 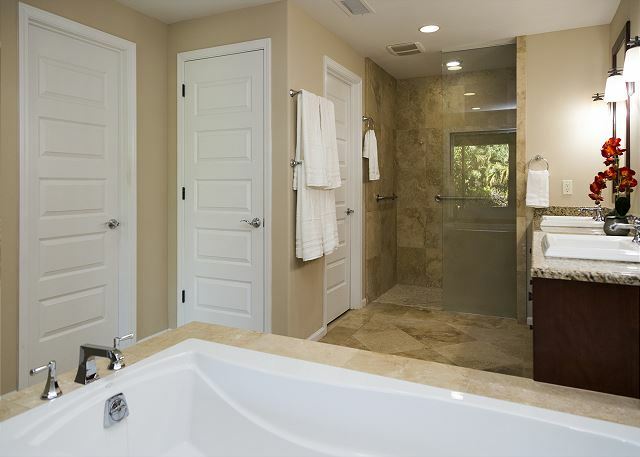 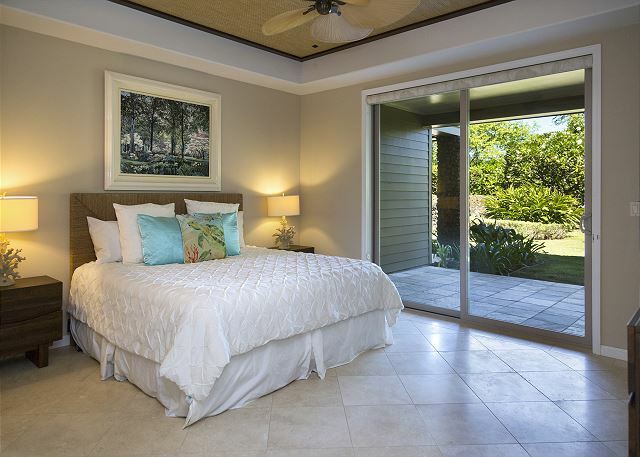 • The Downstairs Master Bedroom has 1 King Size Bed, full en-suite bathroom with walk-in closet, stone shower, soaking tub and direct lanai access. 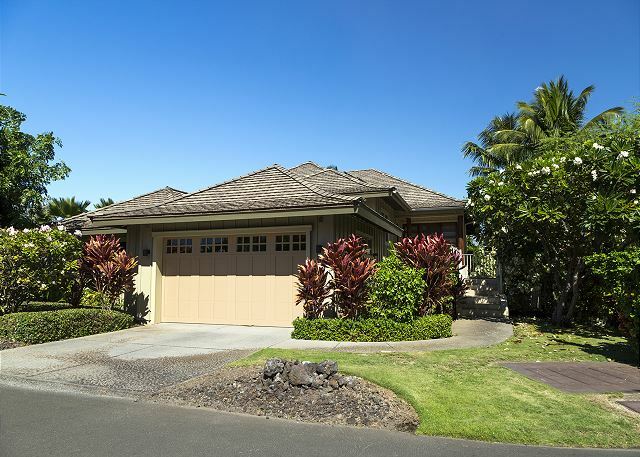 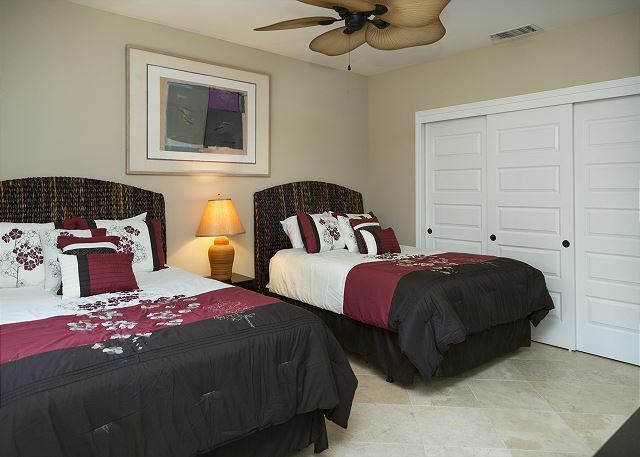 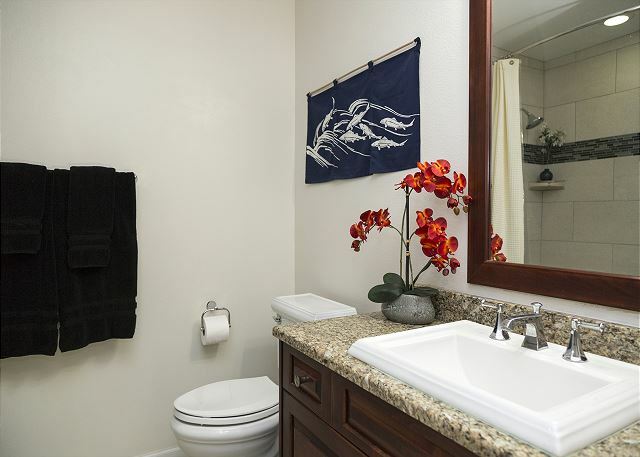 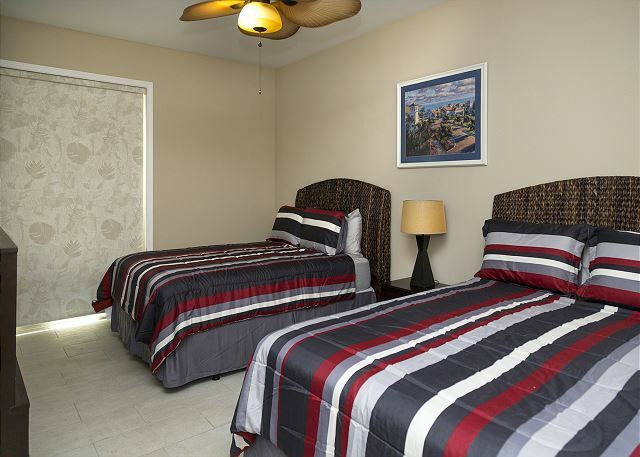 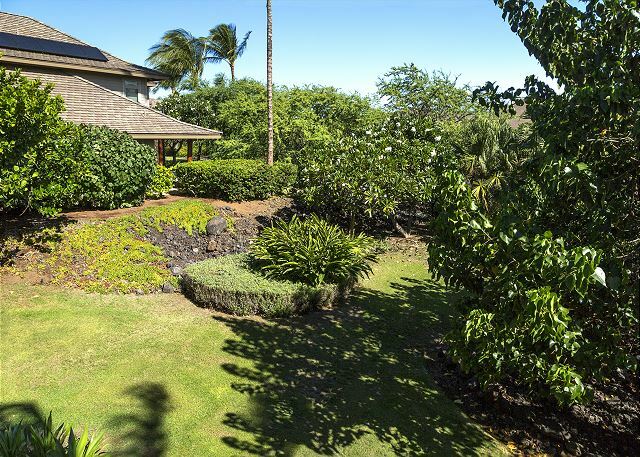 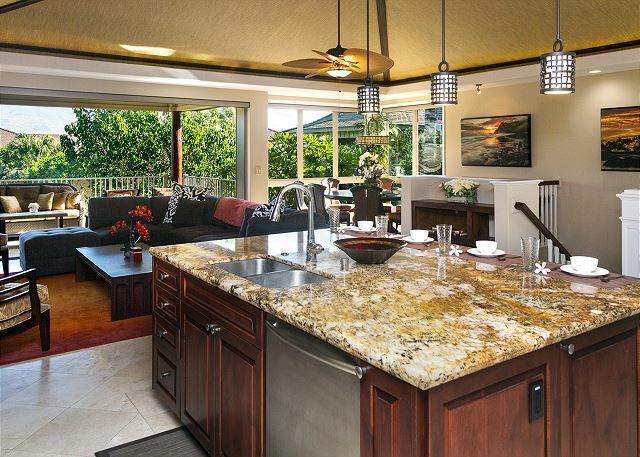 • The Downstairs 3rd Bedroom has 2 Twin Beds and direct lanai access. 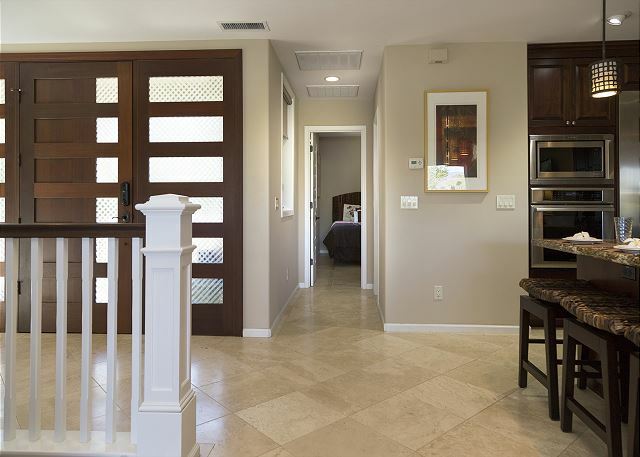 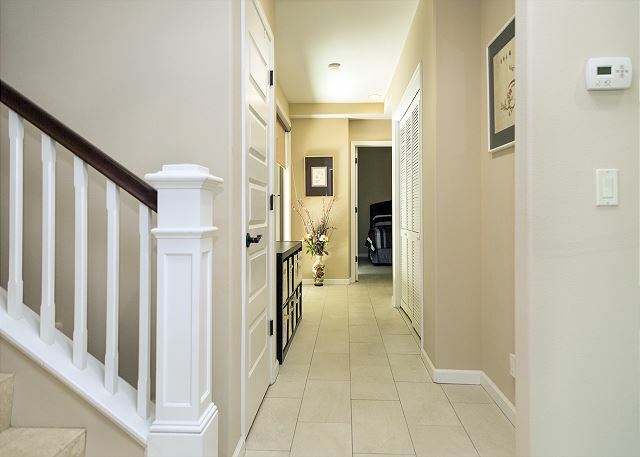 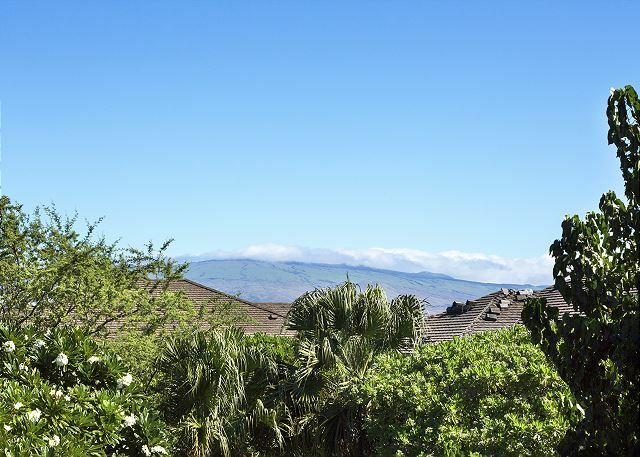 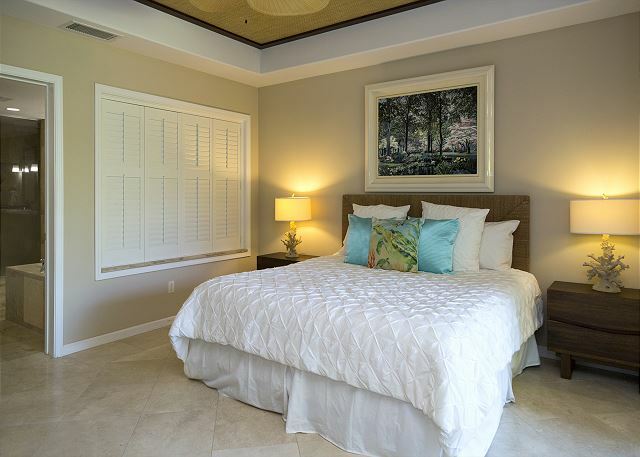 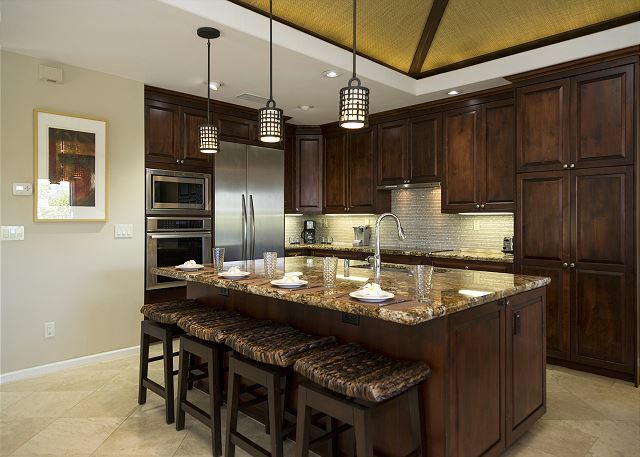 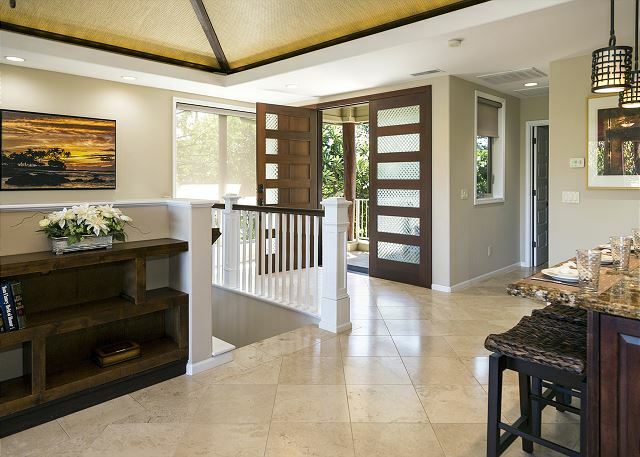 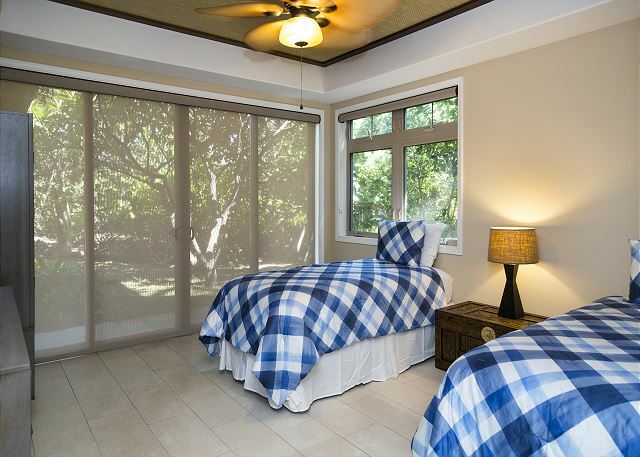 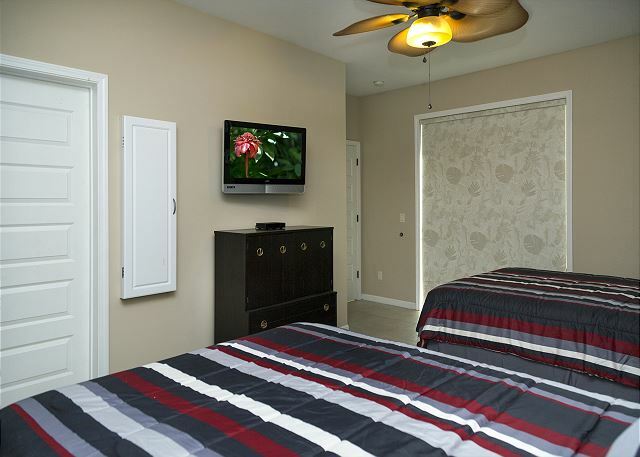 • The Downstairs 4th Bedroom has 2 Queen Beds, walk-in closet and direct lanai access. 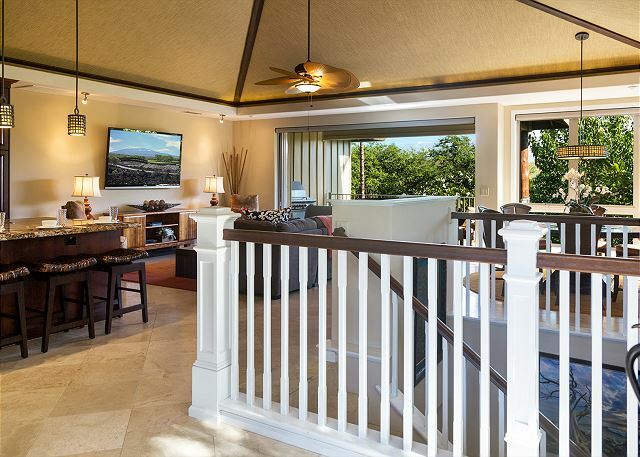 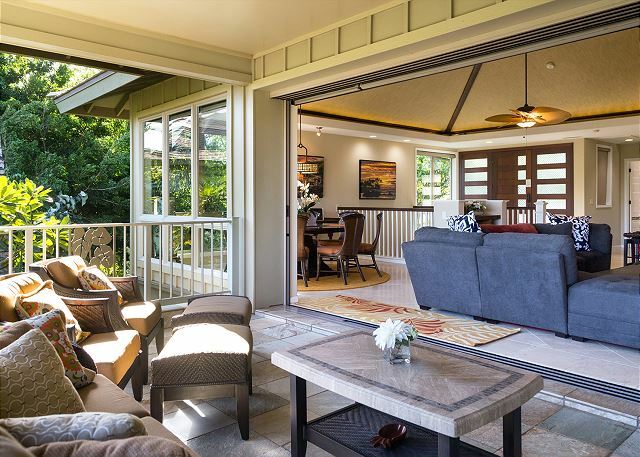 The Mauna Lani Owner's Beach Club is a quick drive down the street. 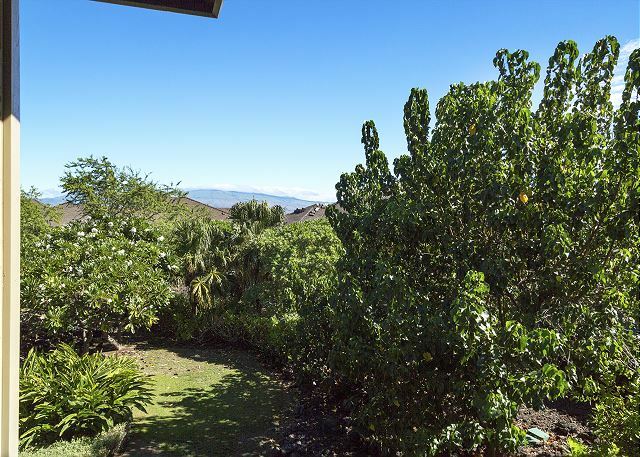 Grab your buckets and beach towels (all supplied) and head to your sandy oasis for swimming, snorkeling, stand up paddling, kayaking and a whole variety of beach activities. 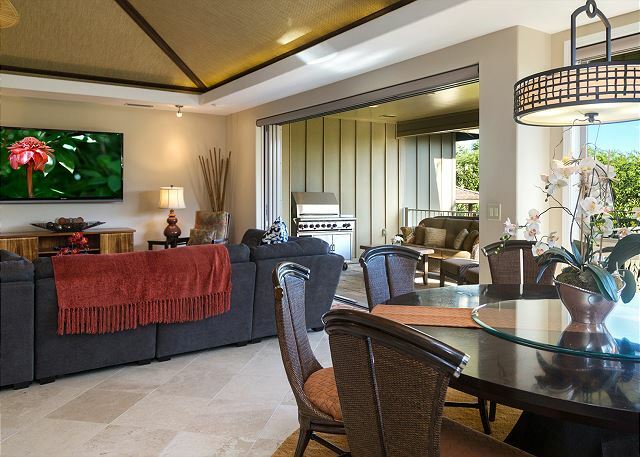 Other attractions include the 5 star Fairmont Orchid Hotel which is within walking distance and offer access to our guests, and most importantly our two award winning golf courses. 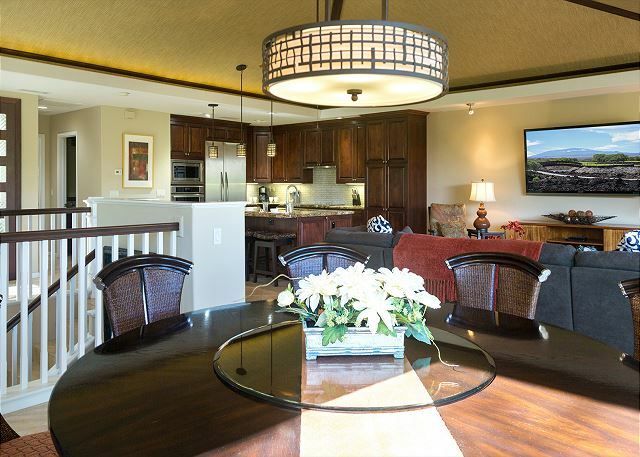 The Shops at Mauna Lani are centrally located in the Mauna Lani resort. 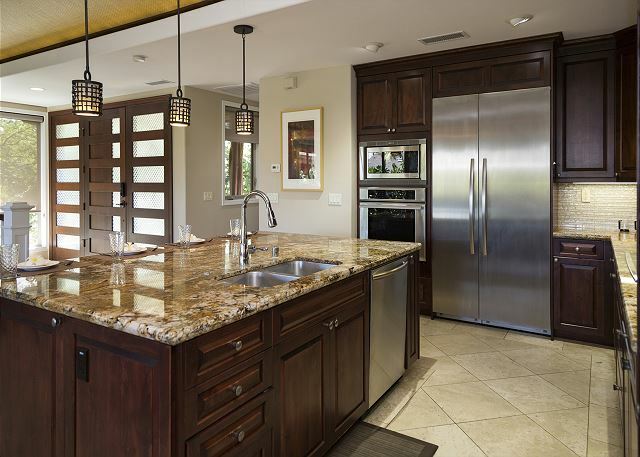 Discover The small gourmet market (Foodland) with delectable deli selections, freshly made sushi, deli and bakery. 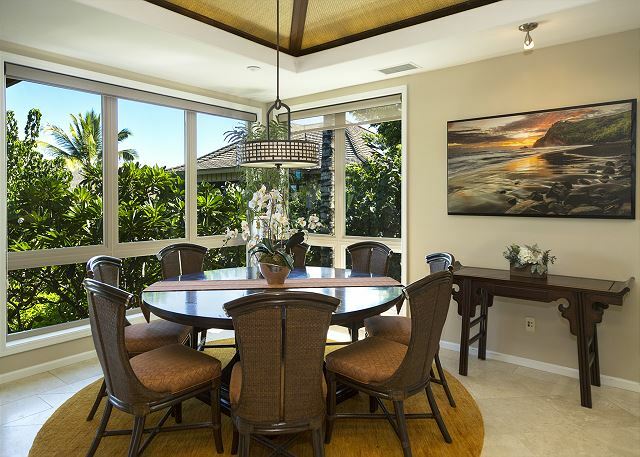 There are a number of first rate restaurants, including Ruth's Chris, Tommy Bahamas, Shiono, Kimo Bean Coffee and other great restaurants. 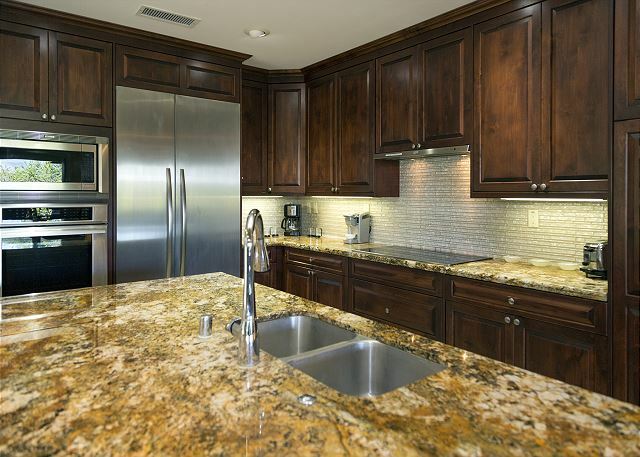 Kitchen Full Kitchen, Stainless Appliances, Large Stainless Refrigerator, Kureig Coffee Maker, Coffee Maker, Rice Cooker, Ice Maker, Microwave, Toaster, Cookware and Utensils, Paper towels, soaps, etc..